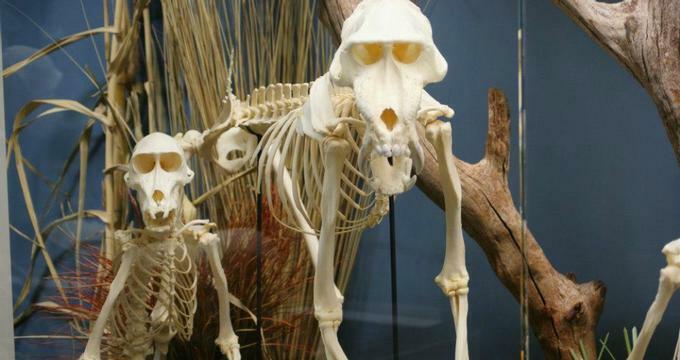 Located in Oklahoma City, Oklahoma, the Museum of Osteology is a fun and unique way for people to learn about the function and form of the skeletal system. Visitors have the chance to explore and learn about a variety of skeletons. In 1972, a seven year old Jay Villemarette was exploring in the woods when he found a dog skull. When Villemarette’s father saw his interest in the dog’s skull, he suggested that he should continue to search for and collect skulls. A few years later, Villemarette showcased his skull collection in the science fair. He received an award, and decided to showcase his collection at the Oklahoma State Fair a year later. Fast forward many years later, Villemarette was a high school graduate who was working as an auto body technician. As way to make some extra money, he decided to sell skulls with his wife, Kim. Jay and Kim’s skull business became so popular that they eventually opened a retail location. This retail location, called Skulls Unlimited, opened in 1990 in Oklahoma City. Ten years later, business continued to boom extensively, so Villemarette moved the store from the opening location to where it currently resides. Although Villemarette felt accomplished with his successful business, he wanted to give back to the community. So, in 2010 Villemarette founded and opened the Museum of Osteology. Currently, the Museum of Osteology is known as the largest osteology museum in the world. One of the best things about the Museum of Osteology is that it only has permanent attractions. Sure, there are some special events that include outside artifacts, but the museum does not interchange their exhibits. Thus, you never have to worry about missing one of the highlighted attractions of the Museum of Osteology. What is a Skeleton is an exhibit located in the beginning of the museum. This attraction is perfect for people who know little to no information about skeletons. 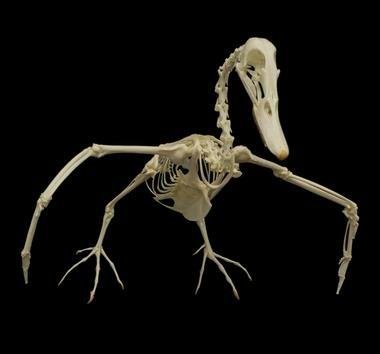 A variety of basic skeletons, such as mammal skeletons and reptile skeletons, express the importance of having a skeleton. By walking through this exhibit, you will learn a variety of information that will make walking through the rest of the museum a fun and exciting experience. Explorer’s Corner is the perfect opportunity for visitors to get hands-on experience with skeletons. This attraction offers over a dozen of animal skeletons that visitors get to handle and examine. Comparative Anatomy is known as the study of examining and distinguishing between the comparisons and contrasts of the anatomy of various organisms. 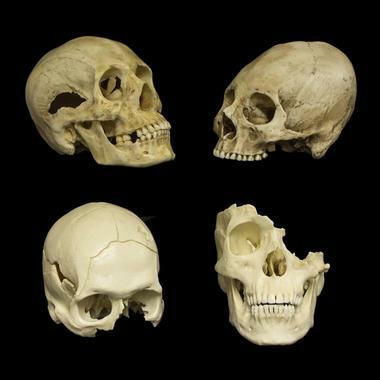 By placing a variety of skeletons side-by-side, visitors get the chance to study the similarities and differences of each of the skeletons. Adaptation & Locomotion showcases how animals have evolved and how they move throughout their natural environments using their skeleton. This exhibit draws in a historical element to the otherwise scientific museum. Forensic Pathology shows how researchers and other professionals can tell what an animal’s cause of death was. By using pathology, people can tell if factors such as trauma or disease impacted the animal and led to its death. 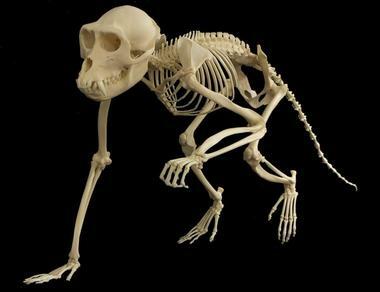 Primates: Monkey & Apes showcases a variety of monkey and ape skeletons that date back from hundreds of years. The skeletons in this attraction are set up chronologically, and show the evolution of monkey and apes. Oklahoma Wildlife provides visitors with a glimpse of the skeletal structures of only animals that are native to Oklahoma. Thus, visitors have the chance of learning even more about skeletal structures while learning about the environment and ecosystems of the Sooner State. The Museum of Osteology prides itself on the extensive educational opportunities it has for a variety of ages. 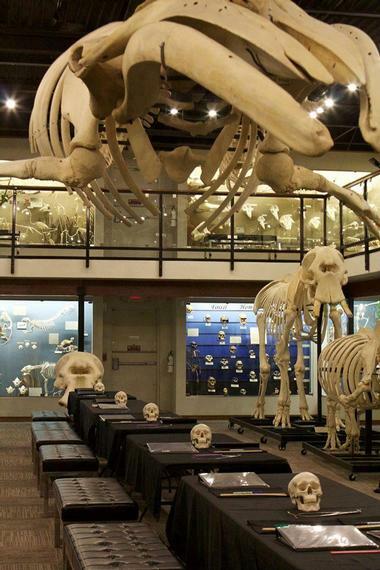 While the Museum of Osteology offers educational programs for college-aged students and adults, most of their educational opportunities are geared towards younger kids. Schools have the option of traveling to the museum and getting a guided tour, along with a hands-on experience. When schools visit, they have the option of participating in a scavenger hunt, which will ensure that the kids have fun while actively learning. The scavenger hunt list can be accessed by the museum’s website, so it can also be utilized by kids who are visiting with their friends and family instead of their school. If visiting the museum is not an option for a school, they can utilize the museum’s online lesson plans, which include; how to distinguish between different animal teeth, the evolution of locomotion and adaptations, and how to create your own skeleton. The museum’s website also has a variety of fun and exciting activities, such as coloring pages, crossword puzzles, and other exciting games.